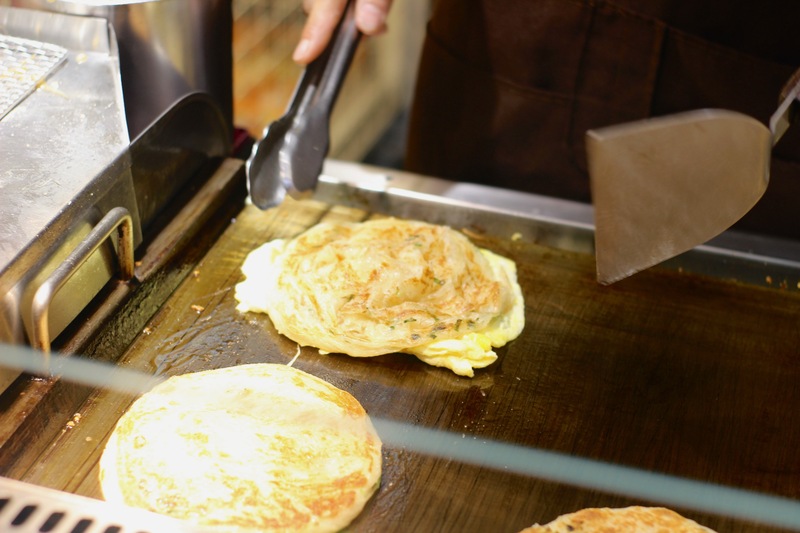 The scallion pancake may be one of the greatest culinary creations of the Far East. It comes in different forms, but is delicious on its own and also makes up the base of the beef rolls that are super popular in authentic Chinese restaurants around LA. But perhaps the greatest take on the scallion pancake can be found at the Shilin Night Market in Taipei, Taiwan. All folded up for eating ease. Here, the scallion pancake is the more flaky variety, but starts like all others on a griddle with some oil. After that, it takes a turn towards greatness by adding a fried egg. 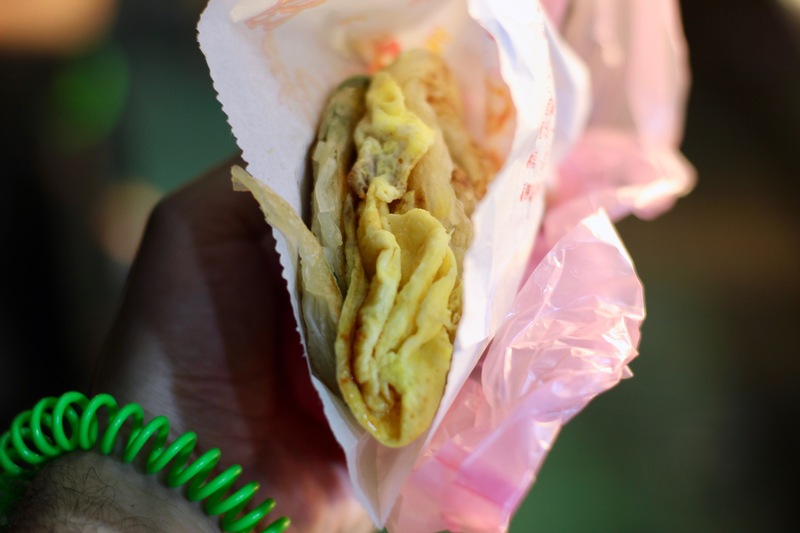 In itself this is not so revolutionary because scallion pancakes with eggs have existed for about as long as scallion pancakes. What’s big here is the addition of a slice of cheese. Yes, cheese! As with nearly every dish, cheese can always make it better, but what is more significant is that cheese is simply not an ingredient in really any traditional Asian dishes. Therefore, embracing cheese as a complement to something traditional as opposed to relegating it to Western-style food is pretty fantastic. With a touch of spicy sauce, this was truly a transcendent bit of street food.